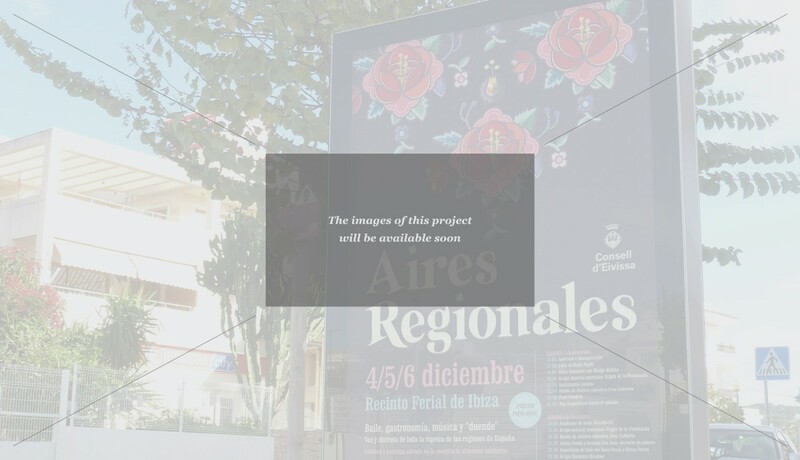 The old Andalusian Event celebrated in Ibiza changed its name in 2015 to be called Aires Regionales (Regional Winds). For this year in addition to the popular Andalusian houses also participated other regional houses of different provinces of Spain. At Sr.Qu. we developed the graphic image of this event together with the designer Juanjo Ribas, defining a style that represents the totality of the Spain regional houses and developing its various graphics and advertising pieces for the event communication.